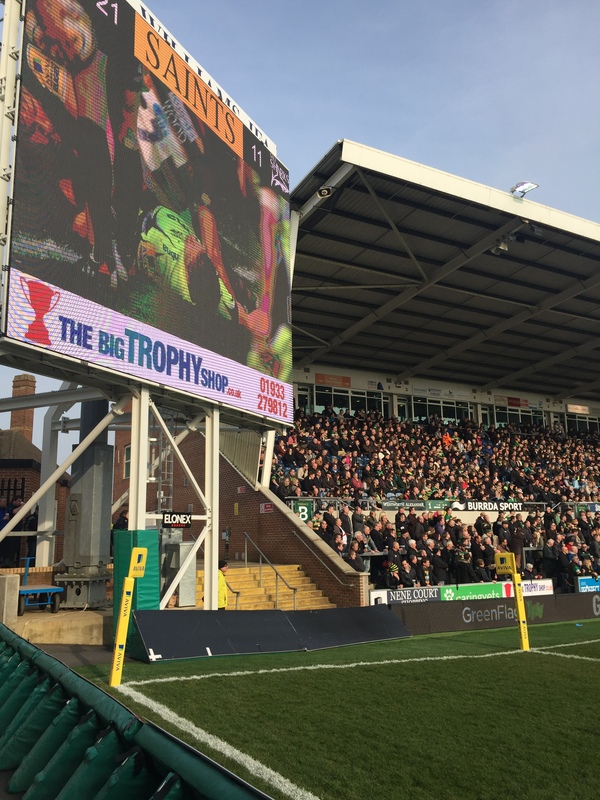 We made the decision to sponsor Northampton Saints in the 2013 - 14 season and were delighted that they went on to win the premiership beating Saracens 28-16 in the final. The Saints are based at Franklin Gardens, a 13,000 seater stadium in the St James area of Northampton. The club has a huge following and owns a number of very high profile, international players including; Dylan Hartley (England Captain), Courtney Lawes and Ben Foden to name but a few.. England have just won the Six Nations Grand Slam under the captaincy of the aforementioned Hartley.. a huge achievement for any player. We have since increased our exposure at the ground with digital advertising on the huge video screen. It was not until we attended the game against Sale Sharks that we realised just how big the new screens are or how often spectators view the screen for replays and live coverage when play is at the other end of the ground! Sponsoring Northampton Saints is clearly helping to raise our profile but also giving a bit of support to a fantastic team and very enthusiastic family of supporters. 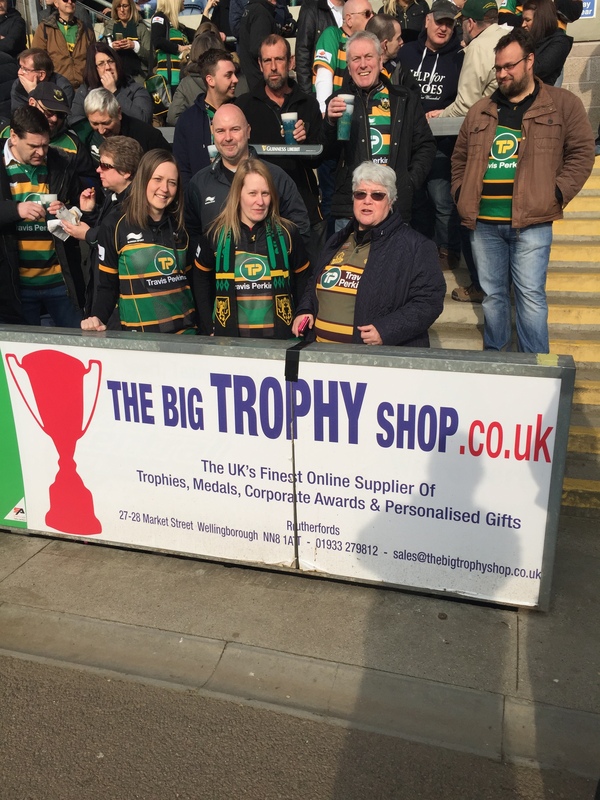 As a supplier of sports trophies we are proud of our association with the Saints and look forward to our continued association.